Bots, drones and driverless cars and trucks are going to explode on the scene in coming years as demand for speedy delivery of goods skyrockets, according to analysts at global consulting firm KPMG. the way consumers shop and the way manufacturers, wholesalers and retailers do business. And new business opportunities will crop up to replace some that they will kill, KPMG predicts in a new report. At the root of the seismic upheaval is consumer demand for nearly instant delivery of goods and the growing shift to electronic commerce and away from physical trips to stores and malls. Demand for ever-faster delivery of goods could result in an annual increase of 23 billion to 78 billion delivery vehicle miles traveled by 2024, with many of those miles traveled by self-driving vehicles of various types, according to the report. Already, numerous companies in Europe, Asia and North America are testing autonomous delivery services. In Arizona, one early adopter of regulations to ease the way for self-driving vehicle testing, the Fry’s grocery chain, a Kroger Co. unit, is testing service from a store in Scottsdale. It uses Silicon Valley-based startup Nuro’s self-driving delivery pods. 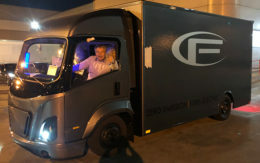 Nuro was one of several new companies profiled by Trucks.com in an article on the growth of driverless vehicles to provide low-cost last-mile delivery. In Oklahoma, it’s gone beyond demonstration programs. The Buy For Less grocery chain recently ordered 10 driverless delivery vehicles from San Francisco-area startup Udelv and will be using them to expand service throughout the metropolitan Oklahoma City area without having to build additional stores. The company believes so strongly in the future of autonomous delivery that it also has signed on to be the exclusive Udelv marketing agent for the state. 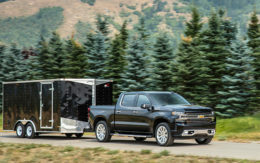 “This is a technology we’d like to move here from Silicon Valley,” Buy For Less co-owner Susan Binkowski told Trucks.com. Autonomous delivery can slash last-mile delivery costs by as much as 50 percent, Daniel Laury, Udelv’s chief executive, told Trucks.com. The KPMG report agrees, citing “markedly lower cost of delivery” as both a reason for and benefit of autonomous delivery services. In some cases, self-driving vehicles are taking people to their goods rather than deliver goods to people. A Walmart store in Chandler, Ariz., is the base for a grocery pickup test being run by Waymo, the former Google self-driving operation. Customers place orders online and then call-up a Waymo self-driving car to take them to the Walmart store, where their already packaged groceries are ready for them to cart home in the same self-driving vehicle. Walmart also just announced a program in Florida with Ford Motor Co. An autonomous vehicle developed by Ford will delivery groceries to Walmart customers in the Miami area starting early in 2019. Waymo also is conducting self-driving vehicle test programs in the metropolitan Phoenix area that involve shuttling shoppers and tourists. In some cases, self-driving shuttles carry both people and freight, according to a recent U.S. Department of Transportation report that looks at driverless shuttle programs around the world. The differences in autonomous vehicle use illustrates what KPG calls the “islands” approach to planning for the future. “For companies to win, they cannot adopt a one-size-fits-all, global solution,” Silberg said. “Instead, they must look to the individual islands of autonomy, where these autonomous delivery markets will first appear. Companies must carefully analyze the complex markets of each island, one by one, because no two islands are exactly the same” in the types of services they will need, he said. While autonomous vehicles will impact employment in the driving profession and in brick-and-mortar retail, it will create other opportunities, the report says. 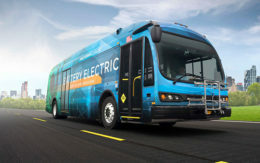 It suggests that employment and business opportunities will arise in areas such as vehicle service; installation and maintenance of lock boxes and other local facilities where delivered goods can be stored pending pickup by customers; and in building, installing and maintaining fueling facilities for what in most cases will be all-electric delivery vehicles in need of frequent battery charges. Autonomous vehicles aren’t going away, and “shopping and last-miles logistics will never be the same,” said Tom Mayor, KMPG’s lead strategist for industrial manufacturing.